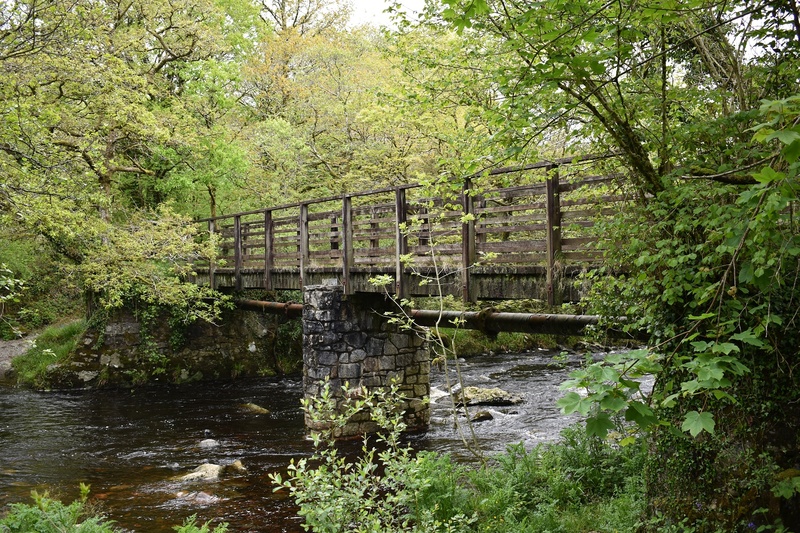 This is a simple wooden bridge over the River Tavy between the villages of Mary Tavy and Peter Tavy. 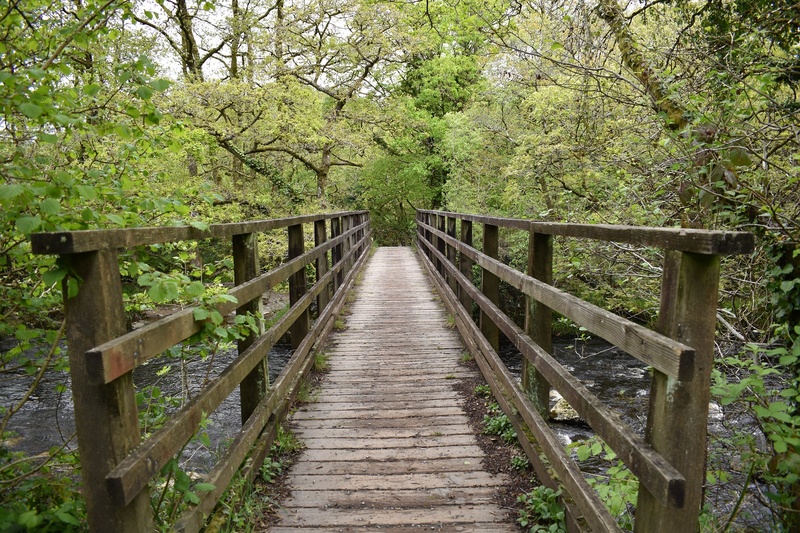 These two villages are linked by this footpath and this bridge helps make the connection. 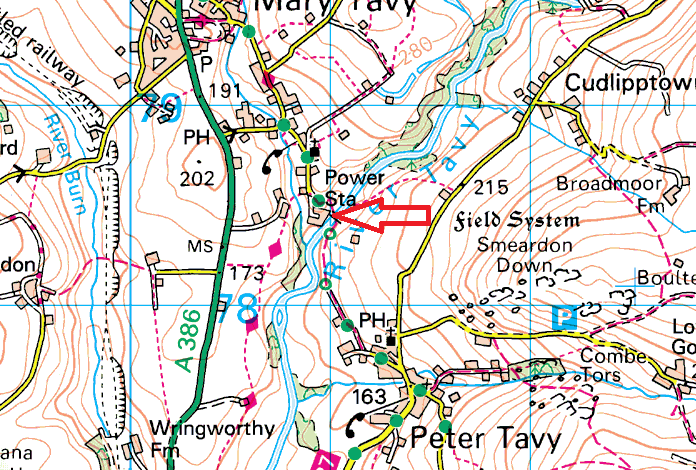 The name of this bridge is how it is known locally. 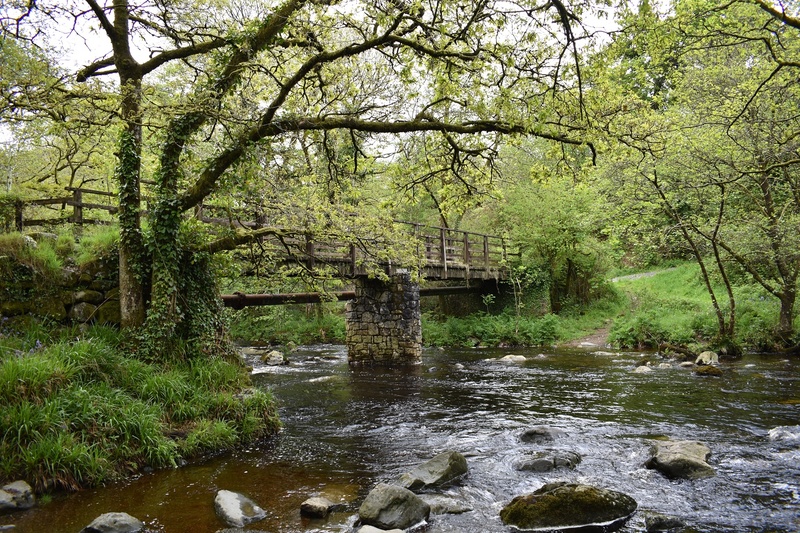 Beside this bridge on the Mary Tavy side is the Hydro power station, other than that there is very little here, Its a pretty spot in the trees and I’m sure it would be a nice spot for a paddle on a hot day.